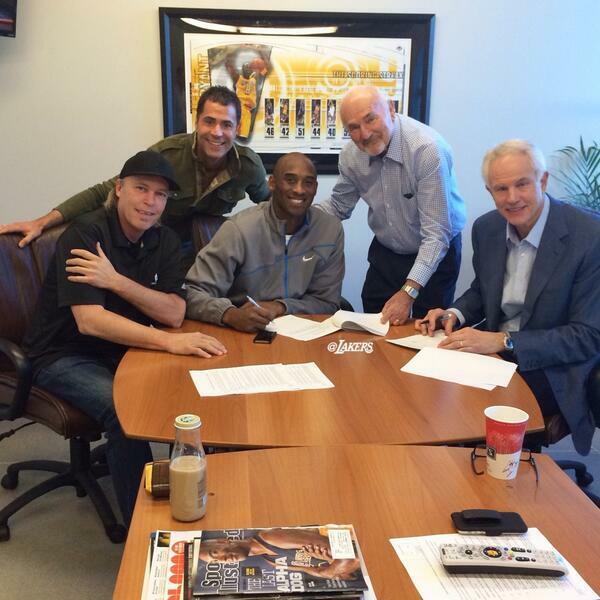 Kobe Bryant will be the highest paid player in the NBA with the 2 year contract extension he signed today. The Lakers have put a lot of money down on Kobe, after coming off an injury. He will be playing here pretty soon you would suspect. Lakers will pay Kobe Bryant 23.5 million the first year and 25 million the second year. The Lakers must know something that no one knows about Kobe. Totally, they will spend 48.5 million on a player that is almost 40. Hope he produces some wins or a ring one year for the Lakers. He will be MJ status with one more ring.